The more things change, the more they stay the same. Metal has been a way of life for me since youth. In junior high, the discovery of bands like Def Leppard, Judas Priest, Saxon, Accept, and Iron Maiden paved the way for the journey into the underground – always seeking out new bands, fresh sounds, the twists and vivid interpretations of a style that’s remained in my world for decades. 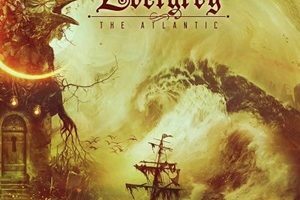 Here we are at the end of 2017, and there’s as much hope for the classic forms of doom and traditional/power metal as there are for the future in symphonic/extreme platforms. Criteria never really changes for this scribe – most albums that connect have the proper engagement for me to return again and again to the material on hand. It can be progressive or straightforward – it can be complex or very simple. The formula boils down to songwriting that stands the test of time, which many believe isn’t as easy considering the works of the 70’s, 80’s, and 90’s. The sheer numbers for releases on a label or independent level prove the vitality of metal – now it’s a question of whittling things down to quality. Without further ado, here are my assessments on the year that is 2017. 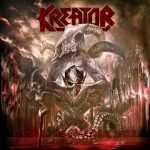 Executing Teutonic thrash with the right balance of versatility and catchiness, Kreator continues to achieve greatness this deep into their career. Gods of Violence features Mille’s trademark sneer, a blitzkrieg of speed and power, plus jaw dropping lead work along with the necessary, easy to ingest choruses ready for audience amplification. “Hail to the Hordes”, “Satan Is Real”, and the epic closer “Death Becomes My Light” win this scribe over every time. Choosing to write and record away from home in Hansen Studios in Denmark, the results expand these Canadians into heavier and more commercial pastures at the same time. 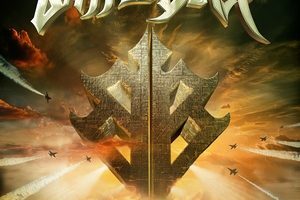 It’s hard not to get swept up by the infectious “You Don’t Know” or “Light Me Up”, while “Hell on Earth” is prime time Judas Priest-like power metal to the nth degree. 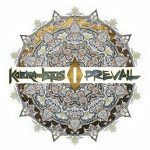 The poignant, personal/reflective lyrical content adds to the direction connection Kobra and the Lotus feel for their audience – embracing the community while hopefully developing a cause for positive change. 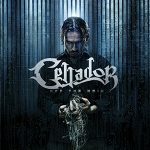 Lurking in the shadows, Cellador returns to prove that US power metal can have speed, intricacy, and harmonies in this second full-length Off the Grid. Unfairly compared to Dragonforce in their early years, songs like “Break Heresy” and “Shadowfold” show deeper Destiny’s End/Chastain-oriented fluidity – plus the band’s Cyndi Lauper “Good Enough” cover illustrates an appreciation for 80’s movie soundtrack theme songs. Already hard at work on album three, the future looks very promising and fruitful. 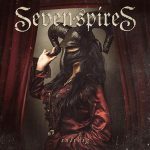 A younger quartet from Boston, Seven Spires unleash a potent blend of symphonic, darkened and orchestral power metal with Solveig. Featuring the three-pronged clean/growl/scream attack from vocalist Adrienne Cowan, plus virtuoso neo-classical/shred lead breaks from guitarist Jack Kosto, the band seamlessly move from symphonic/power anthems like “The Cabaret of Dreams” to the darker, melodic death-oriented “The Paradox”. Prime time opening slots for a bevy of nationals plus a faithful contingent of followers who seek out the band live locally at every opportunity possible, it’s only a matter of time before Seven Spires becomes more of a worldwide phenomenon. 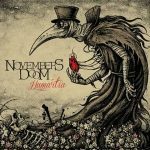 In existence since the early 1990’s, Novembers Doom as a band never fear charting their own path in the death/doom realm. Hamartia probably tips the clean to growl ratio for Paul Kuhr more to the former than the latter – but it’s those aspects that color and shape “Plague Bird” and “Zephyr” into dynamic bliss. There’s a timeless quality to these songs that will keep me returning to listen for years and years. 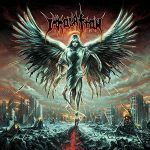 A prime example of the enduring quality of death metal, New York’s Immolation march to their own path – regardless of any trends beating down the scene. Between Ross Dolan’s deep vocal delivery and the insane riffing/tempo combinations, you’d be hard pressed to not become enveloped by the band’s relentless brutality and intricacies – all the while keeping things quite tasteful by intertwining that melody/harmony infusion. 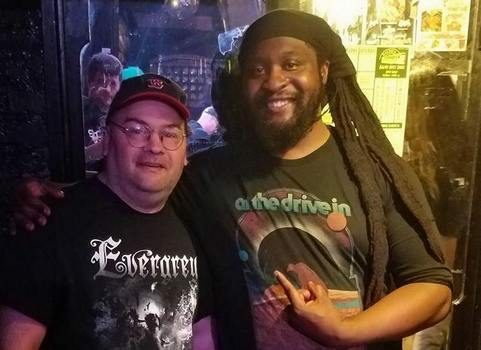 30 years plus in the business, Atonement lets the legions know Immolation isn’t ready for retirement quite yet. 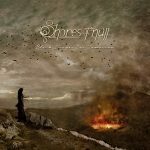 Entwining melodic doom with gothic/death overtones, what helps Shores of Null sets themselves apart for their second full-length Black Drapes for Tomorrow is the Layne Staley/Alice in Chains-esque vocal delivery of Davide Straccione. Following their muse where it takes them, the riffs and hooks sink deep in a cultural vortex, embracing a wide swath of influences that may make you think Paradise Lost or The Gathering one moment, or Borknagar and Insomnium the next. Be swept into the infectious “Carry On, My Tiny Hope” or the shimmering “Donau”, two of many delectable Shores of Null cuts to treasure. 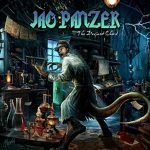 Criminally underrated for their contribution to the US power metal movement, Jag Panzer thankfully return for another impressive, diverse offering in The Deviant Chord. Everything one could want in a record like this exists: exciting musical hooks, strong harmonies, cultural connection, striking cover art, and the magnificent vocal versatility of Harry Conklin. It’s hard for me to single out stunning tracks, as front to back this receives massive airplay on all listening devices to this day. 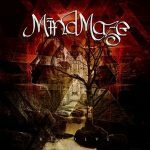 Boldly developing a concept record, Pennsylvania’s MindMaze with Resolve follow through on the promise that there’s still work to be done in power/progressive metal with current bands beyond the established discography of Dream Theater, Fates Warning, and Queensrÿche. Intertwining longer musical passages and advanced musicianship with solid, shorter/catchier songwriting at times, this record allows the quartet to step up their game on their terms – especially with the bass play of Rich Pasqualone and the impassioned melodies of singer Sarah Teets. “Drown Me”, the ballad “One More Moment”, and “Twisted Dream” serve notice that MindMaze continue to ascend the ladder in respect and ability – and we the fans reap the benefits. Five albums in, these Canadians are enjoying the fruits of their hard working/touring lifestyle. Properly understanding the need for multi-part vocal harmonies, catchy musical hooks, and diversity in their power/heavy metal approach, it’s no wonder why “Former Glory” and “Born to Lose” will be anthems for today’s generation to scream and sing their hearts out. The surprise breakout on their fall Dark Tranquillity North American tour run, Striker prove that classic principles will never die in the metal realm. Epic doom metal figured heavily in my list this year – which is not the norm, as most musicians have abandoned the style in favor of stoner pastures. 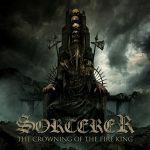 Swedish act Sorcerer with The Crowning of the Fire King deliver majestic melodies and crunchy, headbanging riffs that recall the classic Candlemass, Solitude Aeturnus, and Tony Martin/Black Sabbath records. The push and pull of rhythms that starts “Sirens” all the way to the closing twin guitar harmonies and soulful vocals that end “Unbearable Sorrow” leave me with chills, as the best acts in this genre should. 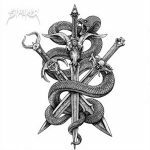 This California trio channel the fundamentals of the NWOBHM sound for the good, and elevate their game even more on their second full-length Darkness Remains. Properly keeping the material on point, they stretch into mysterious ballad territory with the title track – while also paying tribute to Iron Maiden in “Maiden Hell”. Jumping out at you from the studio and ready to launch from the stage, Night Demon have the tools and deliver the goods as a hopeful torchbearer for headlining glory when all the veterans retire. 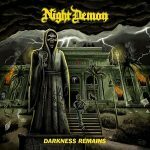 With a double live album looming for the coming year, Night Demon are setting themselves up for the long haul.